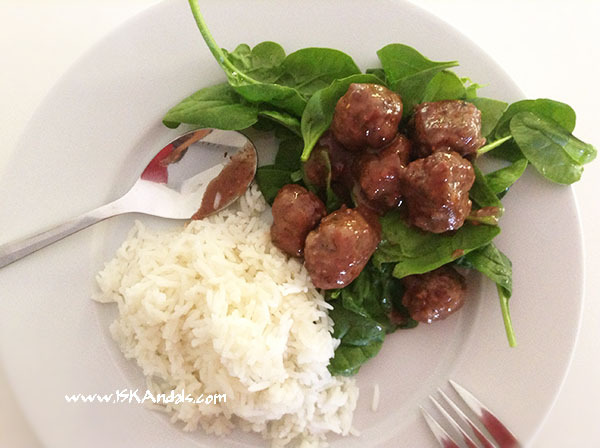 I have always loved Ikea’s Swedish meatballs since the very first time I’ve tasted them at their Beijing branch ages ago. It was so addicting every time we visited the furniture shop we couldn’t leave without having these. In fact we had them again when we went to HK branch a couple of months ago. There wasn’t any horsemeat issue then, and we probably wouldn’t really care if there were. It was that good. A health matter would of course be a different story. Anyway, I watched Jamie Oliver’s 15-minute version few weeks ago and couldn’t help but be inspired. And crave. Soak breadcrumbs in milk. 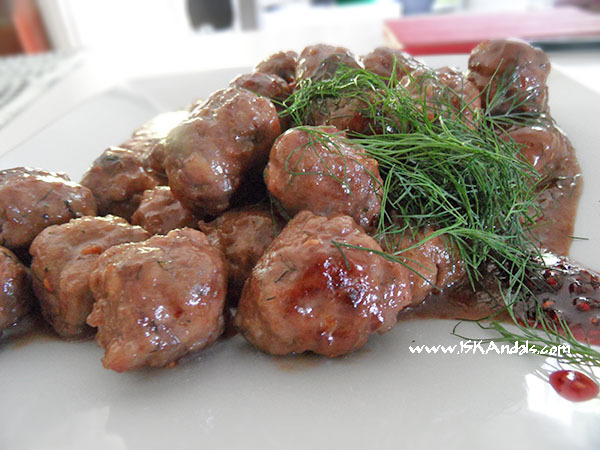 Combine this with minced beef and pork in a bowl. Add salt, pepper, dill and egg. Mix well with bare hands. Divide mixture into 4, then divide each part into 4. Using wet hands, roll these into balls. These should be 32 meatballs approx. 1 ½ inch in diameter. Refrigerate for an hour. When ready, heat olive oil in a pan. Fry meatballs to brown a bit for about 5 minutes. Push meatballs to one side. Add raspberry jam and cook for about a minute until caramelized. Add rice wine, broth and cream. Mix with the jam and cook for another minute. Combine with meatballs and remove from heat. Garnish with dill and extra heated raspberry sauce on the sides. Lingonberry is traditionally used. Other substitute would be cranberry or red currant. Time spent with meatballs inside the fridge not included. I served it with fresh baby spinach leaves and rice. YUM. omg…very tempting! 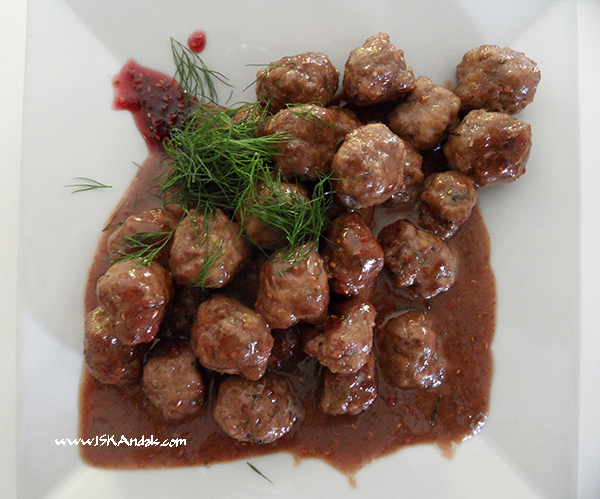 i saw someone cook swedish meatballs over at Lifestyle Network one time, but I forgot to note the recipe! bookmarking yours! This sure looks very appetizing! =p~ Will try this one out.